Model Home from award winning builder is now available for immediate move in! ~The Bonarda~ is an exclusive home design for the The Vines of Sandhill Community by one of the regions most celebrated builders - LANE. 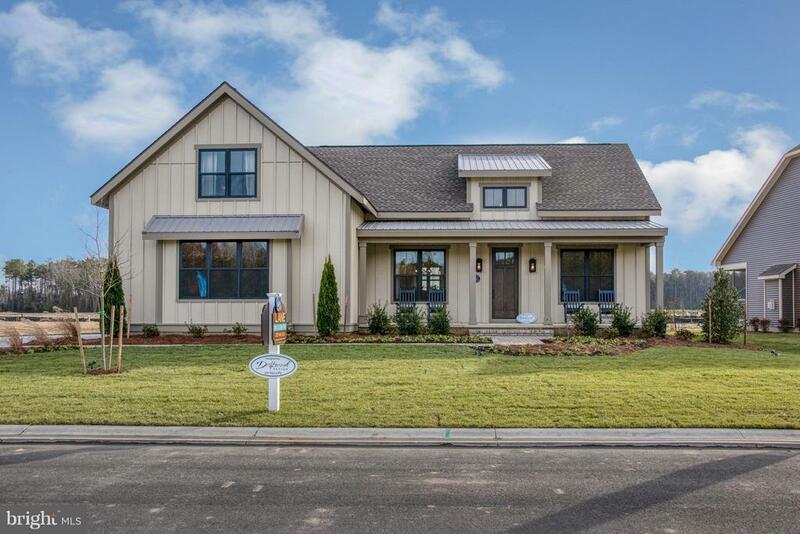 This home is a showcase of the craftsmanship and premium finishes that only LANE can deliver. Quartz countertops, hardwood floors, built-in book shelves, premium trim package, ceramic tile bathrooms, 40inch fireplace and bathroom vanity furniture are only some of the finishes for you to appreciate. Enjoy your morning coffee on the front porch and finish the evening grilling on the lifestyle deck and dining in the fully screened porch with wood cathedral ceiling. Use the extra room provided by the extended floor plan as a home office or as loft area for when friends and family come to visit. All the design elements where carefully selected to compliment the Argentinean inspired community which will boast a 10, 000sqft lodge, outdoor pool, workout studio, tennis & pickleball courts, star gazing decks and ZERO maintenance lawn care! A one of a kind home in a one of a kind community. Directions: From Lewes & Rehoboth Area- head west on Rt 9. Turn right onto Prettyman Road, turn right onto Gravel Hill Road, turn left onto Huff Road, community will be on the left. From Downtown Georgetown- head east on Rt 9. Turn left onto Sand Hill Road, turn right onto Huff Road, community will be on the right. From Downtown Milton- head west on Rt 5. Turn right onto Sand Hill Road, turn left onto Huff Road, community will be on the right.